Regarding the popularity of Stripe transactions, Stripe for Escrow is released to meet our customer demands and gives a hand to the product growth. 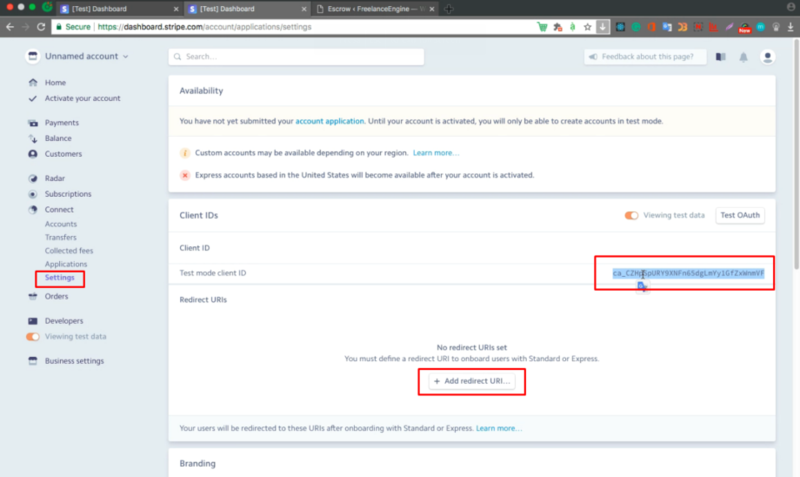 Stripe for Escrow is also similar to PayPal for Escrow. 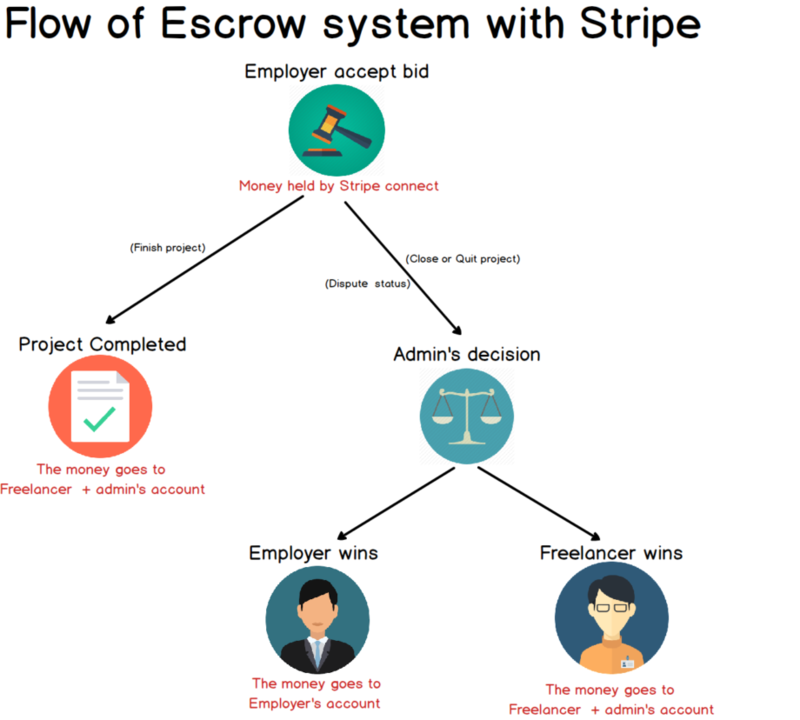 It helps transactions among admin, freelancers and employers work smoothly with Stripe combined with Escrow system. Let’s take a look below for detail information and step-by-step instruction. Please click here for more information about Countries and currencies supported by Stripe. The recipient’s bank account (freelancer) also must be in the mentioned countries. When sending to a debit card, transfers must be less than $3000 (This card must be a Visa or Master card). The Escrow system will start working as soon as the employer accepts a bid. The process will work step by step like below. Step 1: When Employer accepts a bid, he will pay the bid budget (example: $10) to Admin’s Stripe account. Step 2: After Employer accepts a bid, this project will change its status to “Processing”. If the employers “FINISH” this project, the Escrow process will move to step 3. Otherwise, the employers “CLOSE” or freelancers “QUIT” this project, it will turn the status into “dispute” and Escrow process will jump to step 4 . 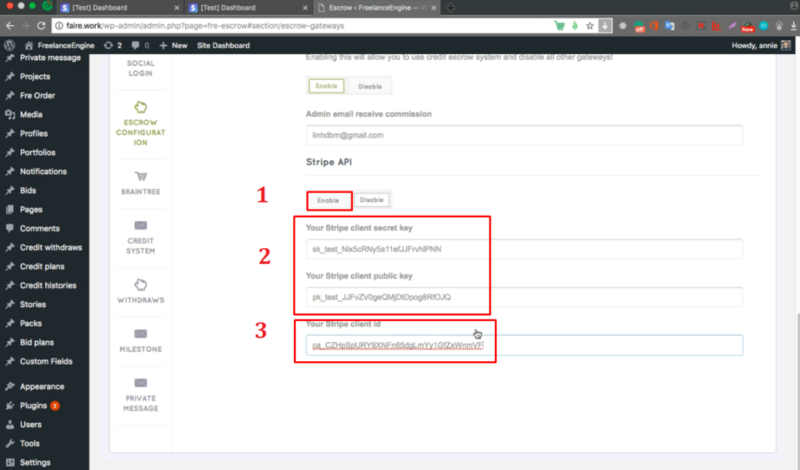 Configure Stripe API on Admin setting page. (1) Enabling this allows you to use Escrow Stripe system on your site. Note: Don’t forget to turn on Viewing Test Data option. *Note: Freelancer can also disconnect and reconnect with Stripe.